After recent trips to the club’s training ground, ex-Mag Tommy Cassidy claims to have heard our players saying just how badly we need new signing to arrive in January – however they ‘don’t think Ashley will pay the money for them’ next month. I struggle to see A) how Cassidy would’ve heard this even if he had been along to our sessions and B) am not sure our players would be discussing this sort of thing in front of Rafa Benitez on the training pitch – a place where the Spaniard will demand focus. “Even the Newcastle players of today know that they need players in. 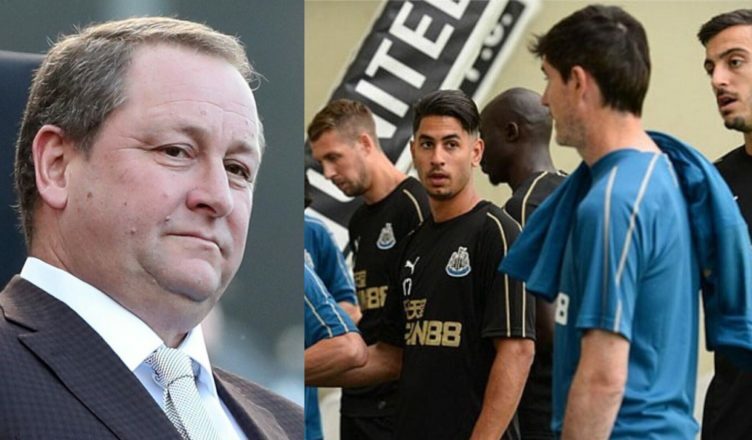 “It’s not very often that has happened in the past where players have attacked each other but I know some Newcastle players who have said to me that they need three or four players in. Unfortunately, this is probably what they are thinking – and it’s something most of us know – however I would be surprised if they are openly talking about it for the likes of Cassidy to hear? Hopefully we don’t have this problem soon enough, but with a takeover yet to be agreed and Ashley still our owner as things stand, I’m sure most of us NUFC fans won’t be getting too carried away. NUFC quoted outrageous asking price for Kenedy – This is unbelievable from Chelsea..
You’d imagine because the fans called off the mass boycott today it would only be good manners to give the fans an update the silence is deafening at the moment.